At Cherish PR you find passion, commitment and intelligence woven throughout all our work, and the team really embodies those values. As a London public relations agency we take pride in working together as a team, providing true consultancy for our clients. On that note we have welcomed the wonderful Samantha Allen back to the team as Account Director. With years of experience across multiple communications disciplines working with global brands, this isn’t the first time we have met Samantha. 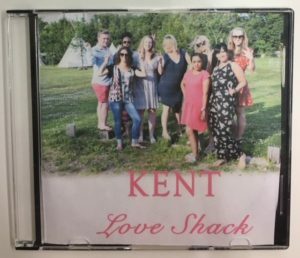 Some of you may recognise Samantha from the infamous Cherish team band’s recording of Love Shack back in 2014. But it turns out that it’s not only awesome backing vocals that Samantha has to offer, so here’s a little more information on her experience in the world of public relations. My Twitter bio describes me as a PR gal, proud Midlander (up the Wolves) and sandwich enthusiast; this sums me up pretty well, I think. I’ve been working in the PR industry for almost a decade, specialising in the consumer, FMCG, digital and charity sectors. Previous clients include Corona, Guinness, Smirnoff, Berocca, Mills & Boon, Palmolive, ShopStyle, Gousto, Wix, Cancer Society and Breast Cancer Cure. I’m actually a Cherish veteran. I first worked with Rebecca and Lisa back in 2013 when I moved to London. I’m now back in the Capital after travelling through South East Asia and working in New Zealand for the past couple of years and excited to be back in the Cherish fold! I love working in PR simply for the day to day of agency life in general… The variety of work, the fast paced nature of the business, the buzz in the office when somebody lands a wicked piece of coverage, the different people I get to work with, the ability to be creative (everyday) and to actually see your creativity come to life, and the talent to know 20% about absolutely everything due to the variety of work we do. If you are on the lookout for the perfect London public relations agency, please do get in touch with the team on info@cherishpr.com – it would be great to hear from you!